Aragma is packed full of content. In this guide, I'll be telling you how to get started. If you don't want to read the guide, you can watch my easy video on how to get started here! 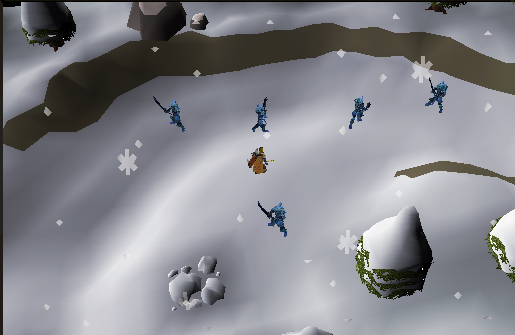 Here at train, you'll kill Minor Warriors. 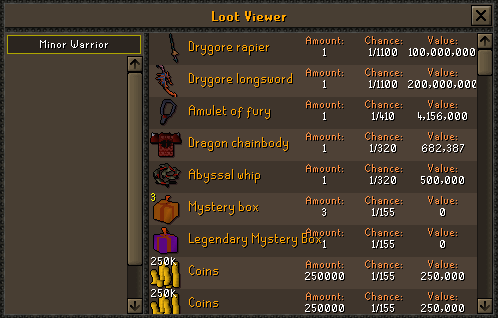 Minor's drop basically everything you'd need to start including mystery boxes, dragon bones, and more. 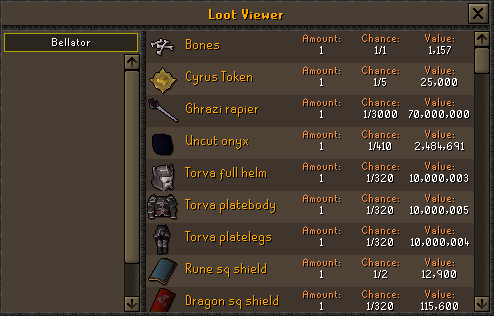 After you've got a decent setup, your next bet would be to do some bossing. 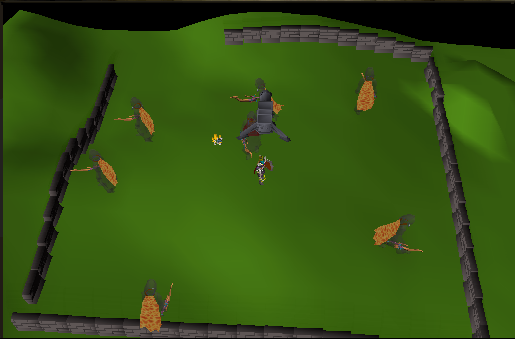 I myself starrted out doing different God Wars dungeons, which you'll find in your teleport tab under the map. 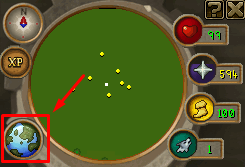 Clicking on the globe will open up all of the teleports that you need. After you've gotten some gear from different bosses and have more of an understanding of the game, you can do our elite bosses. The Trio, Numb, and Wrathful. 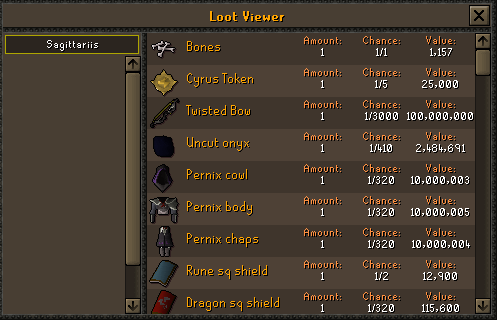 Trio bosses drop different nex armour, twisted bow, ghrazi rapier, and armadyl staff. In order to enter trio, you must have trio tokens from killing other bosses or be a donator to enter for free. The Trio bosses are Bellator, Sagittarius, and Venefica. 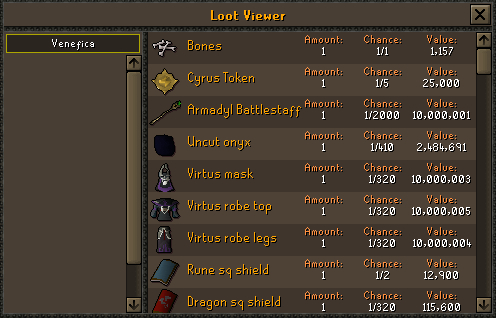 Below, are their drop tables. 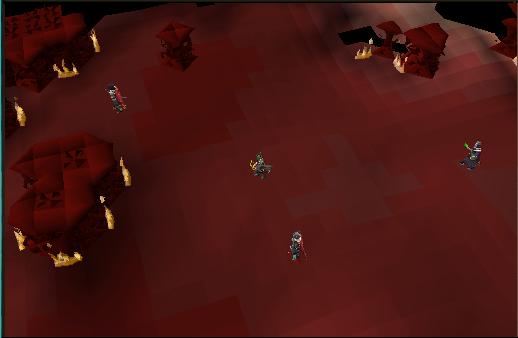 After you get some nex armour and maybe one of the elite weapons, you'll be able to do Corporeal Beast, Numb, and Wrathful by yourself efficiently. Numb Armour is the best Melee based armour In-game. 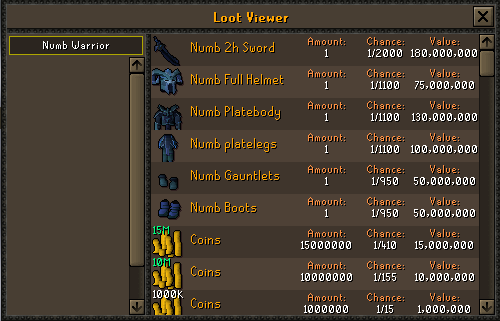 Below, is the drop table for the Numb Warriors. If you're playing Aragma based on range, you'll want to go to wrathful instead of numb. 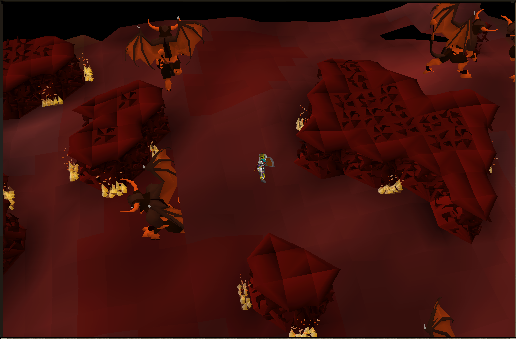 Wrathful Demons drop the best in-game range armour. 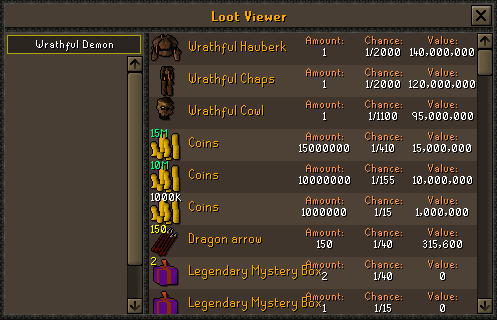 Their drop table is posted below. I hope this quick simple guide helps some people that are just starting out. I'll be adding more on to this guide as time passes by. Hope everyone enjoys it! Great guide for new players.